i managed to restore the original backpack item borders but loadout is now lacking any kind of borders https://imgur.com/a/4XXFb how do i restore the original ones? HoppsHow do I remove "featured item" on main menu? Also, how do I turn off the "major tf2 update" main menu popup that has to be closed every time I launch the game? So I tried to implement a custom main menu background into hypnotize's version of m0re hud and ran into the same problem as what's addressed in this thread below. From what I can tell, their solution was simply to replace the vtf file in the custom hud folder but I don't see a vtf file in m0re hud for the main menu background. How can I stop my main menu background from turning dark and ugly? Edit: nvm, they edited the MainMenuOverride.res! But still can't identify what part correlates to the dark overlay. Don't really know what I'm doing but from vgui tree the only thing highlighting the whole screen is FocusOverlayPanel so it might be there somewhere? No idea what I'm talking about. Also, is it possible to rip apart and combine certain huds? Or is it too much work? forgot this thread existed. so this is a repost (sorry guys). how do i go about moving the objective tracker up about 90 pixels? ppaleunforgot this thread existed. so this is a repost (sorry guys). scripts/hudlayout.res -> ctrl+f "HudControlPointIcons" -> modify "height_offset"
[quote=ppaleun]forgot this thread existed. so this is a repost (sorry guys). And put that file into the my_custom_stuff/scripts folder. I also can't seem to remove the characters from my background, all the downloads for that seem to be outdated. Does anyone know what I'm doing wrong or if the method I'm using is outdated? 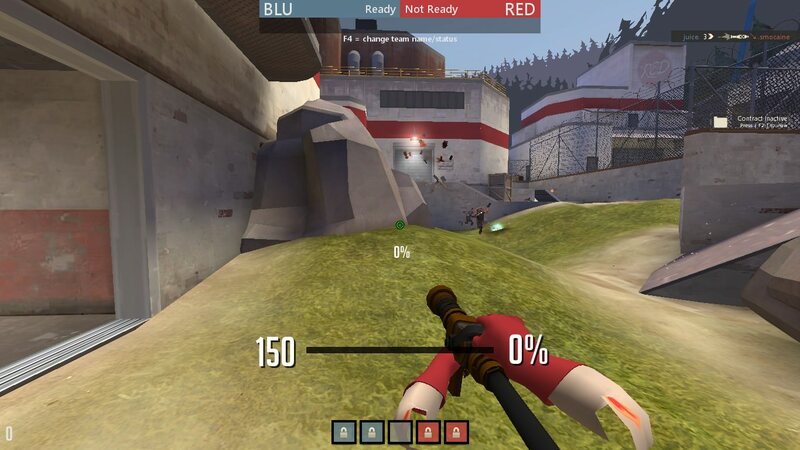 Actually doesn't matter if you split the materials like you can have the background in a folder called background with the materials and scripts folder inside it and then a separate folder for the actual hud. So that shouldn't be a problem as long as you don't have other files interfering with the bg ones. How do I shrink the tournament mode bar? I want it to only be around the ready/not ready text and not the entire width of the screen. Idc about moving the team names. SentinelHow do I shrink the tournament mode bar? I want it to only be around the ready/not ready text and not the entire width of the screen. Idc about moving the team names. [quote=Sentinel]How do I shrink the tournament mode bar? I want it to only be around the ready/not ready text and not the entire width of the screen. Idc about moving the team names. Hypnotize SentinelHow do I shrink the tournament mode bar? I want it to only be around the ready/not ready text and not the entire width of the screen. Idc about moving the team names. [quote=Hypnotize][quote=Sentinel]How do I shrink the tournament mode bar? I want it to only be around the ready/not ready text and not the entire width of the screen. Idc about moving the team names. I'm trying to edit the colors of the item effect meters, but they entirely refuse to change for me. "fgcolor_override"		"OmpMeterLabel"   // "125 125 125 255"
"fgcolor_override"	"OmpMeterLabel" // "125 125 125 255"
"fillcolor"	"0 0 0 60"
Also I recomend adding a reloadscheme button to that page so you don't have to restart the game every time. Also I reccomend adding a reloadscheme button to that page so you don't have to restart the game every time. Add this at the start of the file, works with the backpack, stats panel, loadout, crafting etc as long as you have vgui_cache_res_files set to 0. Is really useful and and saves you a lot of time! Doesn't work with the main menu, but you can still refresh it by using toggle mat_antialias in console. Does anybody know anything at all what's the problem?